Youth Bunk Bed by Coaster Furniture. This piece has a charming casual style with its silver metal construction. 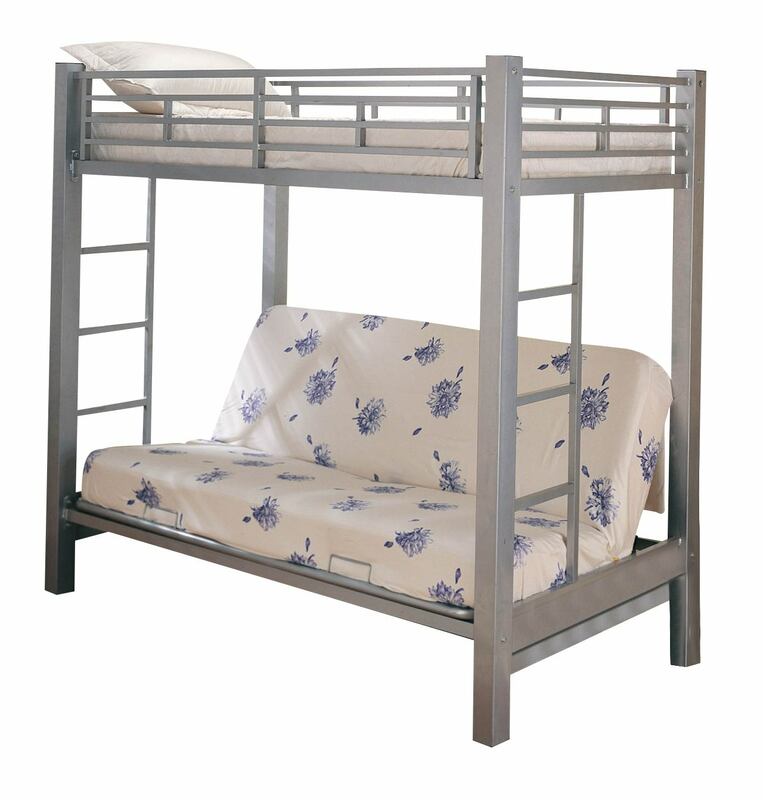 Metal side guard rails will keep your child safe on the top bunk, while an attached ladder makes it easy to get up and down. A futon below can be used as a sofa, or folded down to a full size bed. Bring an exciting contemporary style into your child's room!